When Ben and I heard McDonalds is serving bagels. we decided to give it a try on a Saturday morning. 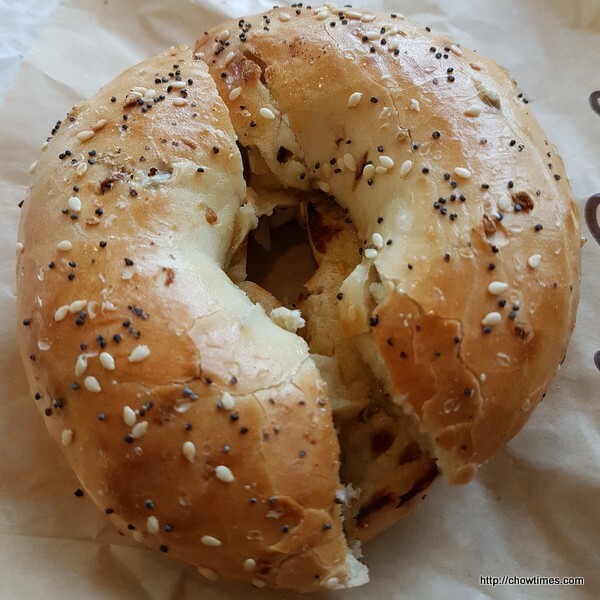 We tried two types of bagels. The above is everything with butter, toasted. 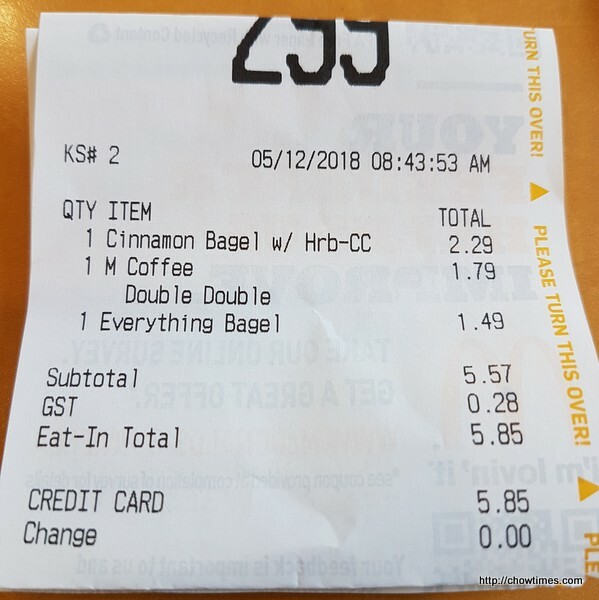 We enjoyed the crunchiness of this bagel. 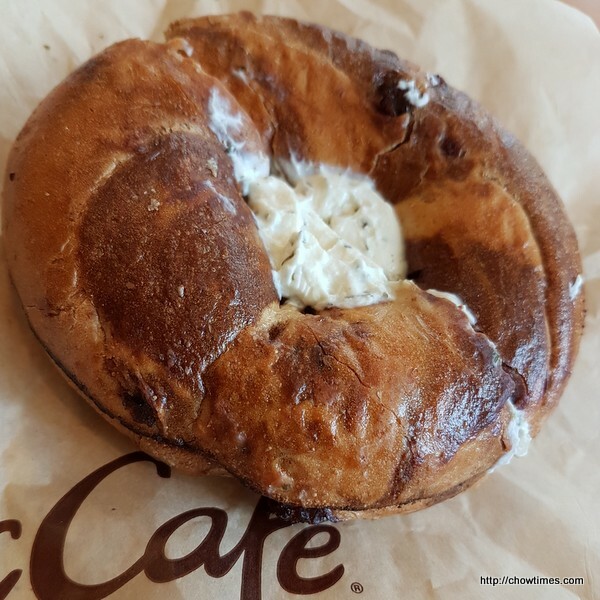 The Cinnamon Bagel with cream cheese has a softer texture. We certainly like the new addition to the menu.